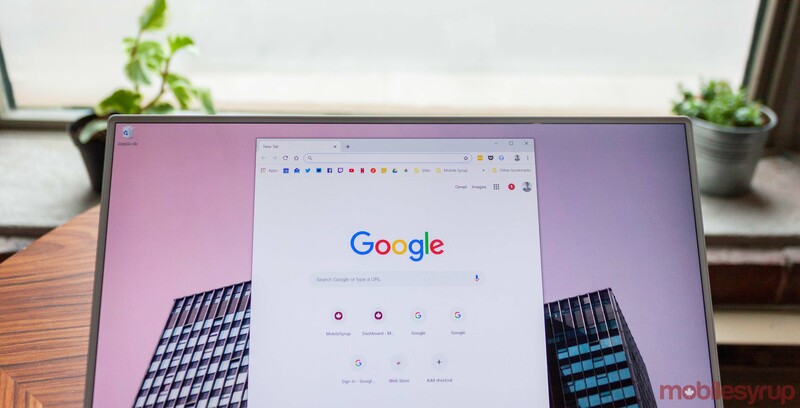 Google is working on a new tab sharing feature in its Chrome browser. Dubbed ‘Self Share,’ the feature would make it easy to send tabs to other devices you’ve signed into with your Google account. A recent commit — a code change posted to the Chromium Gerrit, an online collaboration platform for submitting, reviewing and implementing code for Chrome’s open-source base, Chromium — includes the feature and a brief description. According to the commit, Seld Share will allow users to share tabs from Android devices and reopen them on other synced devices. ChromeStory discovered the feature was working in Chrome Canary version 75.0.3730.5 or later, once you enable a flag. To enable the flag, type ‘chrome://flags#enable-send-tab-to-self’ in the Chrome address bar and hit enter. Toggle it on, then restart your browser. Keep in mind that you’ll need the flag enabled on both the device you’re sending a tab with and the device receiving it. Now you should be able to send a tab from any webpage with either your desktop or mobile browser. I couldn’t get the feature to work on my Windows laptop, but ChromeStory confirmed it works on macOS and the Pixelbook. Unfortunately, because I don’t have any other devices with the feature working, Self Share didn’t do anything. If you set up both Canary properly on both devices, you should receive a notification about the shared tab. Tapping or clicking on the notification will open the tab on that device. Since the feature is in Chrome Canary, it’ll likely be a while before it comes to stable Chrome. Until then, you can use some other great apps like Pushbullet or Join to send your tabs to other devices. Some other browsers have similar features already. If you use Firefox, it’s worth noting you already have a function like this built into the browser. If you right-click on a tab, there’s a ‘Send tab to device’ option to share the website with a specific device, whether another computer or a mobile phone. 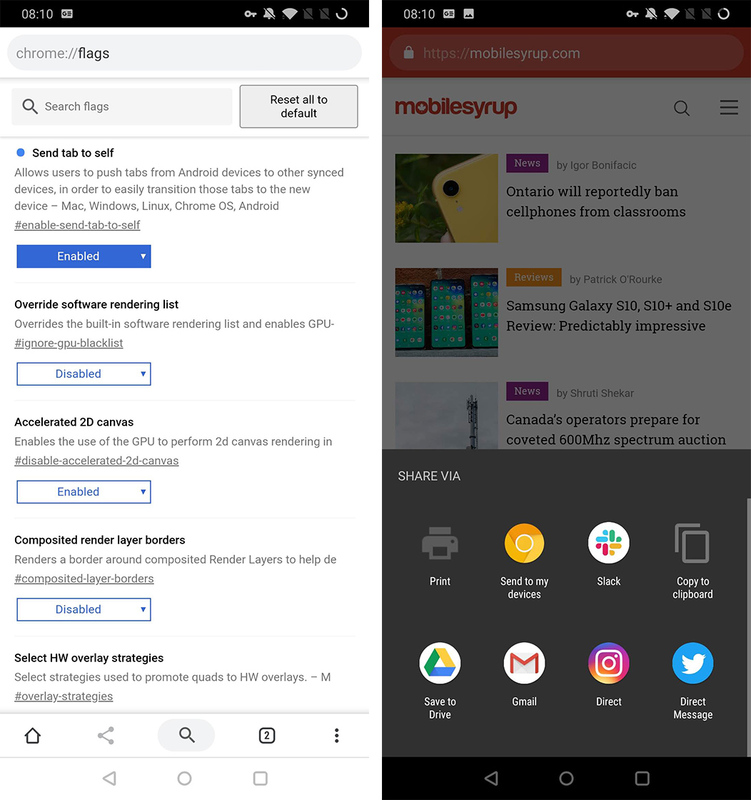 Opera’s ‘My Flow’ feature acts as a chat between your computer and Opera on your phone. You can send messages and links to your other connected device with the feature.